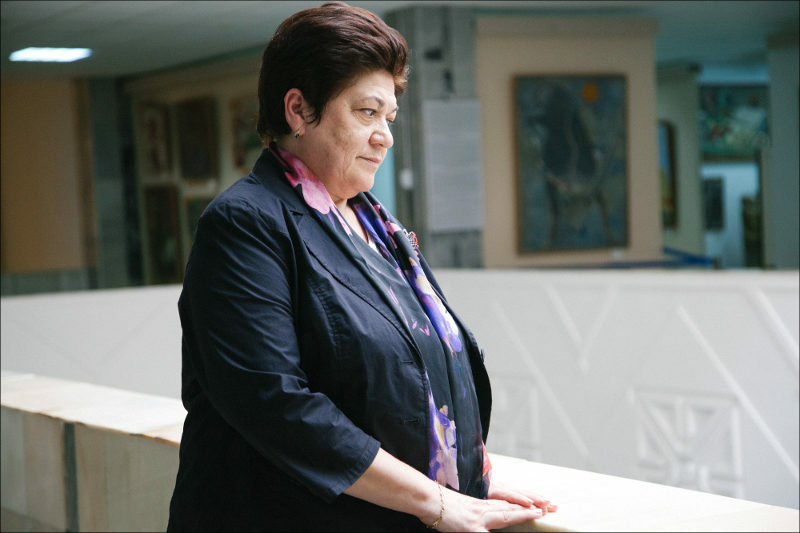 The director of the legendary Savitsky Art Museum in Nukus, Karakalpakstan, Marinika Babanazarova, was recently fired; no new director has been appointed yet. Ms Babanazarova’s colleagues and friends are collecting signatures and writing letters in protest to the government and president of Uzbekistan, demanding to resolve the problem and recall the order of her dismissal. Meanwhile, experts abroad are seriously concerned about the fate of a rich collection at the museum, which is now left exposed without that one person who has at the helms for 30 years and secured a globally renowned status for the museum. I will refrain from writing again about what the Savitsky Museum in Nukus is, given the thousands of pieces already written. You can familiarise yourself with entries in Wikipedia or the museum’s website, and Fergana (The Nukus Museum: Arts Treasure Chest in Prolonged Trouble Epicentre). I will only say that it is one of the most wonderful museums in the post-Soviet space, which houses some 90,000 exhibits ranging from ancient arts to middle ages to the modernity. 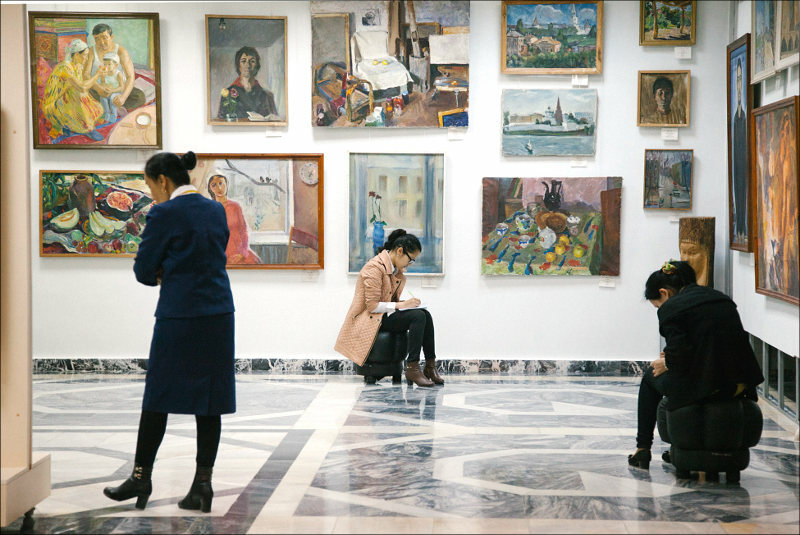 Experts of the field estimate that the significance and scale of the Russian avant-garde collection in Nukus is second to only the richest collection in Russkiy Muzey [The Russian Museum] in Sankt-Petersburg, Russia. The most important aspect is that Igor Savitsky, the museum founder and first director, saved from destruction and collected into a state collection some of the rarest works of art of the early Soviet era, including many paintings of contemporaries and students of Malevich, Kandinsky and Shagal, the works of renowned Usto Mumin and Aleksandr Volkov as well as the works of Yevgeniy Lysenko, an artist not know in Russia until recently, and Mikhail Kurzin, one of the leaders of the Turkestan avant-garde. 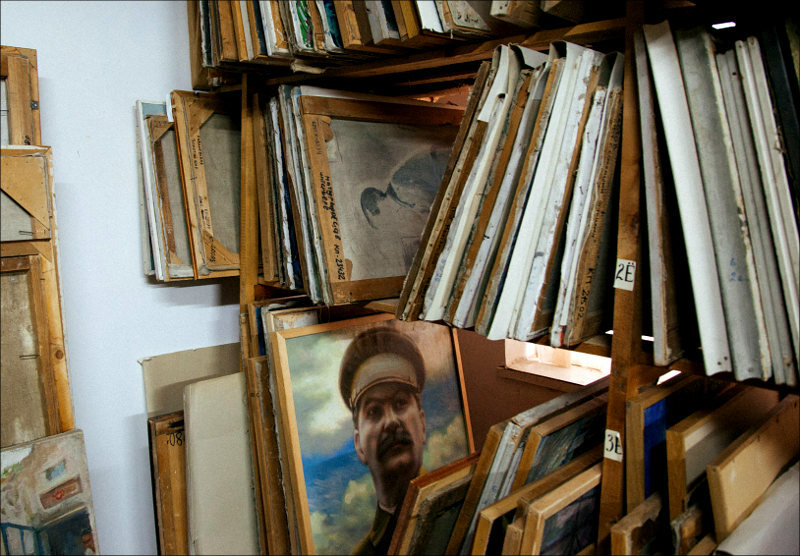 Thousands and thousands of paintings held in the Savitsky Museum archives are still awaiting discovery, comprehensive restoration and recognition. Although the museum was founded in 1966, it gained significant fame much later—after the former USSR collapsed in early 1990s. 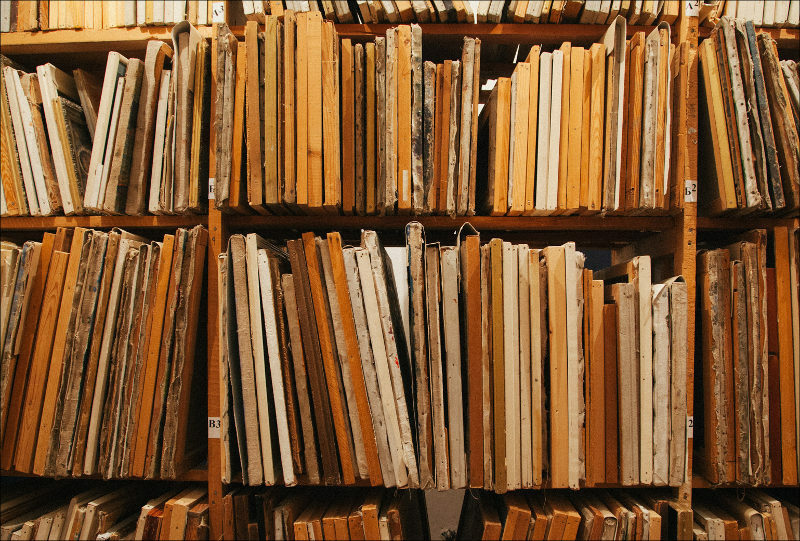 Exhibits of its archives were displayed in many countries in the 1990s and 2000s, and stirred excitement among common visitors and sophisticated arts experts. Collecting such unique works and paintings was not enough—safeguarding and carrying it through decades was of no lesser importance. 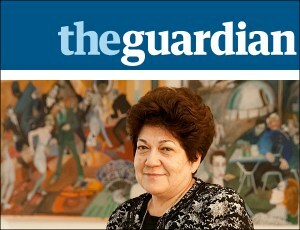 Doing so was possible thanks mostly to the second director of the museum—Marinika Maratovna Babanazarova. Ms Babanazarova is a student and successor of Igor Savitsky. She worked for the museum in the times of late Savitsky and was appointed director after his death, in line with his decree, in 1984. The museum gained its jokingly serious nickname—The Louvre in Desert—under her leadership. Being a leader at any level is a challenging and risky affair in Uzbekistan. But Ms Babanazarova had always been a more independent director unlike the majority of her peers. She did not look back to see what those in Tashkent had to say regarding this or that matter; she launched and supervised activities and hired employees herself; she would make agreements on exhibitions and seek sponsors/donors herself, most of whom, obviously, were foreign. Powers that be in civilized—albeit not very democratic—nations like Uzbekistan pay close attention to museums. They cherish art so much, that paintings once held in Uzbek museums surfaced in private estates of high-ranking officials. For instance, when an exiled Uzbek activist in Switzerland, temporarily seized control over a Geneva villa owned by Gulnara Karimova, the Uzbek president’s beleaguered elder daughter, several canvases of Uzbek masters of art where discovered there. While no information is available as to what happened to them thereafter, some people back in Uzbekistan did get penalised: several employees of the State Museum of Arts were convicted for purported replacement of originals with forged copies and illegally selling paintings from museum collections. Some reports suggested inspections were then unleashed in every single museum in Uzbekistan. However, no information on missing works or other violations was made available. At the same time, experts that are well aware of workplace etiquette and manners in Nukus are certain that not even a single piece of art could be lost under the relentless watch of selfless Babanazarova. “Marinika Babanazarova was scrupulous about security,” said Sue Richardson, co-author with her husband, David, of a recent book on Karakalpak folk culture, who has visited the museum many times. Richardson said there were now fears that the Savitsky collection would be relocated to the Uzbek capital Tashkent, allegedly for its own safety. “Some of it may go to museums but we suspect a lot more will quietly ‘disappear’,” she added. “Information” about this was published on a pro-government website in Uzbekistan. To be sure, this website deserves no credit whatsoever and warrants no respect. That said, the allegation’s publication coincided with the dismissal of Ms Babanazarova by the Ministry of Culture of Karakalpakstan. 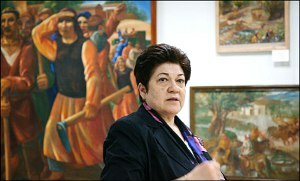 But an employee of the department of museums under the Culture and Sports Ministry of Uzbekistan told me that Ms Babanazarova has voluntarily stepped down. While there are no indications of blackmails or threats (as some of her co-workers hint), a well-planned information campaign to remove a “rogue” arts expert from directorship can be seen clearly. The museum staff has immediately voiced its support for their director and issued an open letter to refute the aforementioned “anonymous tip.” Eighty-six staff members have unanimously announced they fully trust the director’s honesty and integrity, while the legality and correctness of the aforementioned inventory inspection is dubious; the staff also demand higher authorities administer a thorough investigation. According to Alvina Shpadeh, head of the department of pictorial arts restorations at the Savitsky Museum, the inspection in question is “falsified”. But what makes Ms Babanazarova “rogue”? Perhaps her endurance and perseverance: there are cases when “authoritative” individuals showed up in her office with stacks of money, demanding to sell this or that work of art, but she would refuse. Also, perhaps her independence: the Uzbek powers that be do not appreciate independent directors and feel jealous when they establish direct contacts with foreigners and always discourage initiatives. Also, perhaps her stubbornness, which sometimes bordered on lack of common sense. For instance, Ms Babanazarova refused to sign documents of accepting and admitting a new museum building [from contractors], because she saw lapse in poor construction work: the ceilings leaked in some of the halls and air conditioning was simply terrible. That said, from the tourist vantage point, the museum building looks beautiful; it looks like a royal palace against the backdrop of ruins in Nukus, the burnt out desert around and the suffocating spirit of the Aral tragedy. However unbelievable, the Nukus museum smack in the centre of a saline desert in the westernmost ends of Uzbekistan is one of the most visited tourist attractions in the country. It is the only and main sight in Nukus, a provincial town of 300,000 residents that is slowly fading away in the middle of deserts and dust storms that the Aral Sea catastrophe triggered. This means the Savitsky Museum is a successful business unlike the majority of other museums in Uzbekistan. It is, therefore, quite possible that some official(s) decided to seize this business with guaranteed source of income. That said, a certain portion of the businesses in the city depend on this museum. After all, the numerous tourists here do not limit themselves to enjoying rarity paintings in the museum walls. On top of visiting local stores and restaurants, they spend two to three days here and reasonable hotels charge up to USD70 per night. 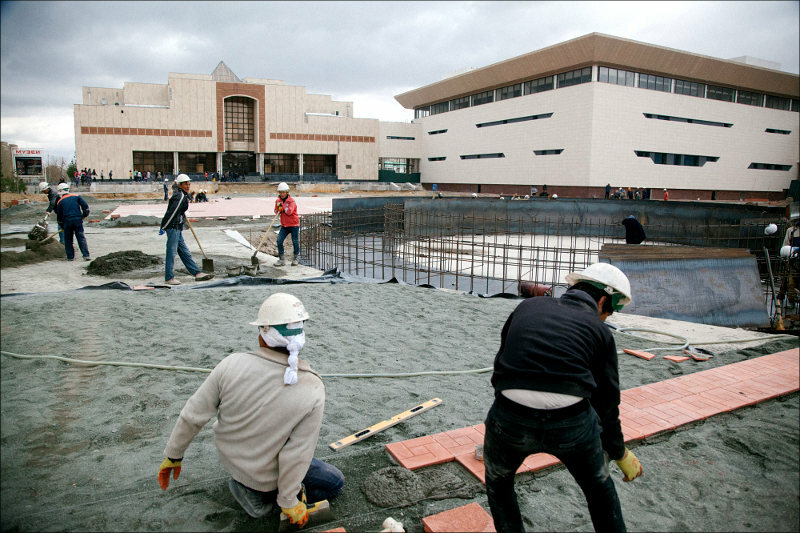 Various factors will define a course the given situation around the museum will further unfold in. Ms Babanazarova’s personal position and the staff members’ desire to have the now dismissed director back are only parts on this problem “canvas”. The Savitsky Museum is a wealth of global importance, so its fate concerns many people both in Uzbekistan and abroad. Several groups sprung up on Facebook almost immediately after Ms Babanazarova’s dismissal to express their support. One of such initiative groups wrote a letter to the Uzbek minister of culture and sports and collected numerous signatures of activists, famous persons, academicians, artists, arts experts and public figures. The troupe of Ilkhom Theatre founded by Mark Vail also sent a letter to the culture and sports ministry as well as the UNESCO office in Uzbekistan (posted on Facebook). Actors, singers and leadership of the theatre are asking the Uzbek authorities and international community to pay special attention to the situation around the museum and its director. Ms Babanazarova’s colleagues in Russia—directors and owners of significant and respected galleries—are also drafting open letters to the Uzbek ministry of culture. Meanwhile, at least one petition is collecting signatures online in defence of Ms Babanazarova (а petition in French). In my opinion, the main source of problems is the fact that every important decision is adopted secretly in Uzbekistan, remaining behind an opaque screen from society. A mythical supreme “authority” adopts decisions for anyone and everyone in Uzbekistan, and these very people are so afraid of these “authorities” that do not even dare voicing discontentedness, let alone protest. It is, therefore, an extremely rare case when nearly ninety people, as well as hundreds of not indifferent individuals, rose in defence of a popular heritage—a unique museum that Uzbekistan can and must be proud of. Unsurprisingly, the position of these very people and their passion will shape the museum’s future. The scandal that followed the hasty dismissal of Ms Babanazarova is a terrible blemish on Uzbekistan’s image and prestige. It is especially so ahead of the Independence Day [on September 1] and a centennial anniversary of Igor Savitsky. Both the Uzbek government and the museum’s friends must apply every effort to put an end to this terrible situation, and calm the public by ensuring everyone that the world-renowned collection of paintings and works of art will remain intact.